Oral cancer has been on the rise. Fortunately, it’s easily treatable – when it’s detected early enough. 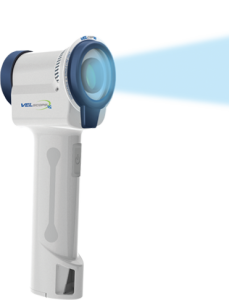 Tools such as Velscope help us do just that, alerting us to tissue abnormalities that may indicate cancer. The technology consists of a handheld device that emits a harmless, blue spectrum light. That light illuminates differences in soft tissue patterns, including lesions and fungal, bacterial or viral infections. It’s quick, easy, painless and an important addition to the conventional oral, head and neck exam. We recommend our adult patients be screened once a year and incorporate the screening into one of their regular exam and hygiene appointments. Sign up for one of our Smile Plans, and this annual screening is included in your service package.